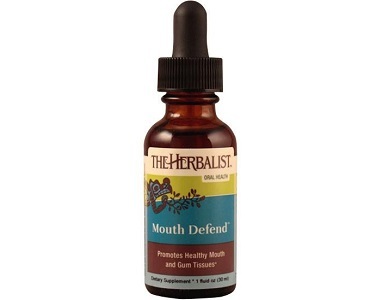 This The Herbalist Mouth Defend review examines the ingredients, dosage, guarantee and all the other aspects linked to this supplement to ensure the consumer has 100% assurance in what they buy. A dietary supplement which might heal canker sores, promote gum health and improve overall mouth health. It might also eliminate the bacteria found in the gaps between teeth or gums and prevent common bacteria from growing in your mouth. What’s in The Herbalist Mouth Defend? Echinacea root, Goldenseal or Hydrastis Canadensis root, Commiphora molmol or Myrrh gum, and Resina propolis or Propolis – contains potent antibacterial, disinfectant, and antibiotic qualities and contributes to an improved immune system as well as promote the development of healthy tissue. Spilanthes acmella or Spilanthes herb – relieves toothaches. Yerba Mansa (Anemopsis spp) root – supports a healthy immune system and promotes the development of healthy tissue. The above list of ingredients might be effective to provide antibacterial, disinfectant, and antibiotic qualities. But clinically proven key ingredients are needed in this supplement which will increase the healing process and recovery time of the consumer. These ingredients are, Alum (extracts moisture from the ulcer which enables healing), Vitamin B12 (keeps nerves working properly, and helps to make healthy blood cells), Propolis (reduces pain and intensity of the sore and speeds up healing), Licorice ( provides rapid relief by soothing and coating the injured tissue in the mouth), and Lysine (plays a major role in calcium absorption, therefore Lysine promotes prevention of canker sores by increasing calcium intake). How Do You Use The Herbalist Mouth Defend? The recommended dose for prevention is to take 30 drops three times daily, the recommended dose for restoration is to take 30 to 60 drops three times daily. One bottle (1 oz) for the price of $15.00 may be purchased online directly from the manufacturer’s website as well as third-party retailers. Discounts are available when making bulk purchases. The manufacturer will accept returns due to their error, within 7 days of delivery. If the consumer wants to return an item, (which is not the manufacturer’s error) a 20% restocking fee will be charged. There are only a few customer reviews, some are good, and some are not so good. It is very pleasing to find that the manufacturer is using organically grown and wild-harvested herbs of the highest quality in this supplement, and that the price seems rather affordable. However, we do find that this supplement requires clinically proven key ingredients to give the consumer 100% support for pain relief, increased healing time and preventative benefits. It is rather alarming that the consumer would have to pay an additional 20% restocking fee, if they do not get the desired result from the supplement, and would want to return it. It might be the reason why there are only a few consumer reviews and some of them are dejected.